People who have a drywell system installed on their property experience dry well problems from time to time. The best way to deal with such situations is to call an expert for dry well repair in the Sumner, WA area. Professionals will be able to identify the real reason for the dry well problems and accordingly handle any necessary dry well repair.When you hire a dry well cleaning service on a regular basis to ensure proper dry well maintenance, you will experience minimal dry well problems. For any issue with your dry well system, contact VAC-TEC LLC. Our reputation precedes us. You would never be disappointed by the work we do on your dry well repair. Not all properties are fit for the installation of a drywell system in the Sumner area. If your property has heavy clay soil or the soil has a low infiltration rate, it is better to have some other kind of drainage solution. You can do a comparison of dry well vs French drain and find out which one is the best fit for your property. You need the help of experts such as ourselves to help you understand which is best for you. 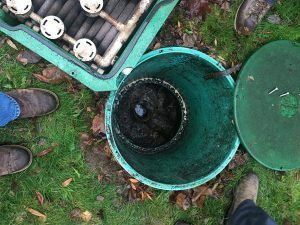 Dry well not draining is one of the main dry well problems in any Sumner property. If you find you have dry well drainage problems, call us right away. 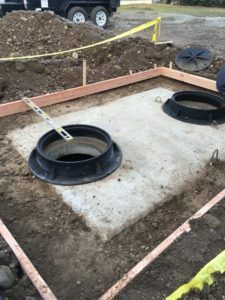 We will find out the dry well problems plaguing your dry well system and then will handle your dry well repair quickly, professionally, and affordably. If you have any question about the dry well system installed in your Sumner residence, give us a call to learn the answers. We are here to help you! Call VAC-TEC LLC at (253) 777-4887 to resolve any dry well problems you may be having on the Sumner property. We also provide dry well system maintenance to ensure your dry well system lasts a very long time.